The black and white era of 1940s had great suspense thrillers, murder mysteries and detective movies made in Hollywood that are still a treat to watch even after almost a century in the present world of amazing technological advancements. And one of those most famous, much appreciated and widely quoted cult classic film is DOUBLE INDEMNITY released in 1944 as a pioneer crime thriller directed by Billy Wilder. The film was adapted from the novel by James M. Cain, which was also based on a rare, real case of the 1920s. 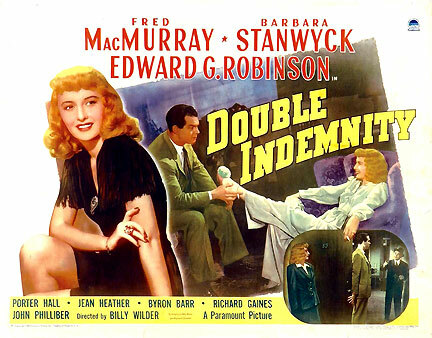 The plot revolves around a conspiracy by a greedy wife and an insurance salesman, who together make a plan to kill the husband in a specific manner to get the double insurance claim as per the clause of ‘double indemnity’. Interestingly it got nominated in seven categories in the OSCARS including the Best Picture but couldn’t win even a single award of them all. Probably the only film nominated for BEST PICTURE in the OSCARS that didn’t win in any of the seven categories it got featured in. Ranked in the 100 Best American films of all time by renowned institutes and critics, DOUBLE INDEMNITY was also considered as disturbing film creating discomfort by a few as it was indeed a first of its kind bold and original attempt in the specific genre. Widely quoted as a masterpiece, it is now looked upon as a film setting the ‘standard’ or the ‘benchmark’ to be followed by all. "Since Double Indemnity, the two most important words in motion pictures are 'Billy' and 'Wilder"
To surprise you further, our own Indian master filmmaker Satyajit Ray wrote a 12 page long letter to Billy Wilder after watching the film which sadly remained unanswered. The legend himself shared the info in his speech while receiving the OSCAR trophy, given from the hospital bed in Calcutta. Having said that, in the present times many might find the film as too simple, slow and lacking the required thrill of a crime drama. But while watching it you need to consider the era it was made, around eight decades back as first of its kind of attempt creating a new wave. So watch it studying the way Billy Wilder treated the theme including the emotions of love, sensuality and betrayal together with a splendid camerawork and background score along with superfine performances by the entire cast. Written and Directed by Billy Wilder. Starring: Fred MacMurray, Barbara Stanwyck, Edward G. Robinson and more. Nice article, Bobby. It's also worth mentioning that the movie was a huge inspiration for the 1981 movie Body Heat. Body Heat, in turn, inspired the Bollywood film Jism. No surprise there as the Bhatts are notorious for remaking foreign movies, lol! Thanks Neel for your kind words. Actually this film has been inspiration for many Hindi films. Just recently I mentioned in it a review of a Hindi film MOH MAAYA MONEY again based on Insurance scams. 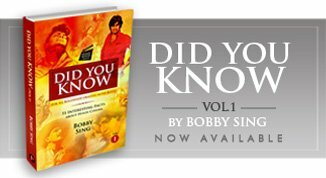 Also the Body Heat reference is already there in the 'More Inspirations in 'J' Category' (Inspired Hindi films started from J).